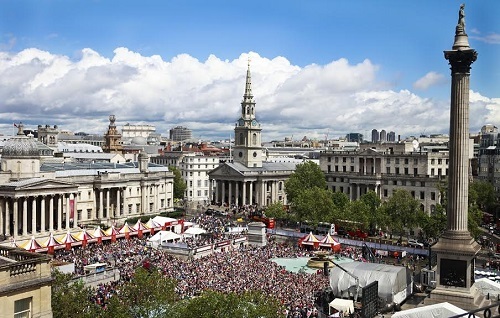 The world’s biggest celebration of musical theatre, West End LIVE will this year take place on 20 and 21 June, returning to its home in London’s Trafalgar Square. 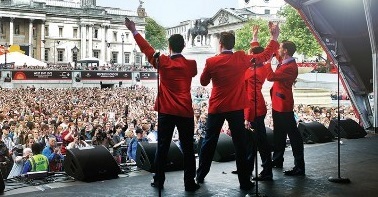 The always popular event returns for its 11th year, West End LIVE is a unique theatrical festival when the cast from the top shows perform for free in Trafalgar Square it features performances from the West End’s world famous musicals and an exclusive line-up of appearances from some of the London stage’s favourite stars. More than 500,000 theatre fans attended 2014’s West End LIVE, enjoying a packed weekend of performances from long-running musicals Wicked, Billy Elliot The Musical and Les Misérables to previews of high profile productions due to hit the West End and The Royal Opera House Chorus, conducted by the legendary Placido Domingo. West End LIVE is a very popular event and access is operated on a ‘first come’ basis with further access granted as people leave. Queues are to be expected throughout the day and occasionally the Square will reach full capacity. At this point the organisers will have to stop access to the event temporarily until space opens up. Tags: Billy Elliot The Musical, Les Misérables, London West End theatre, London’s Trafalgar Square, Plácido Domingo, The Royal Opera House Chorus, Trafalgar Square, West End LIVE 2015, West End LIVE 2015 in Trafalgar Square - 20th and 21st June 2015, West End LIVE 2015 in Trafalgar Square 2015, Wicked. By londonvisitors2014 in Festivals and Events on May 29, 2015 .